It’s officially Summertime, and now that Phil can sleep in whenever he likes, I’m certainly not above bribing him with treating ourselves to a sweet breakfast as incentive to get ourselves out of bed on these hot days. 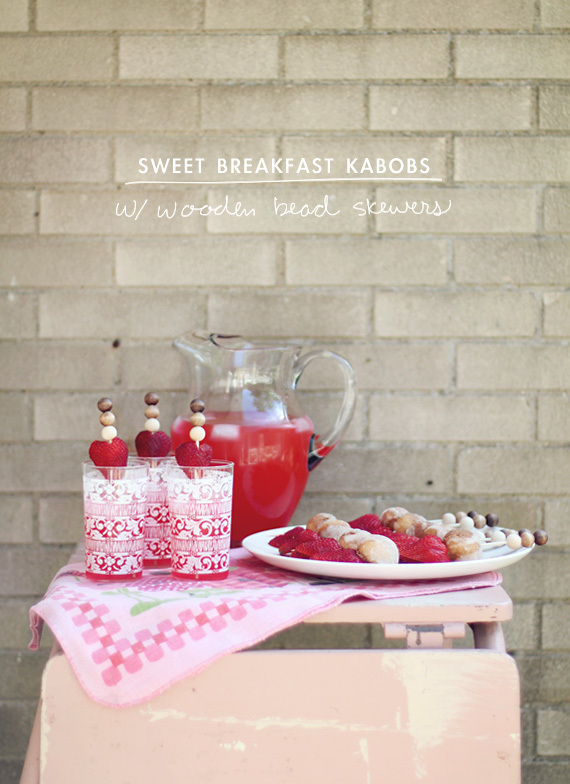 I used the wooden bead skewer project to throw together a quick and simple breakfast that we could enjoy while sipping on cool drinks on our shaded patio. 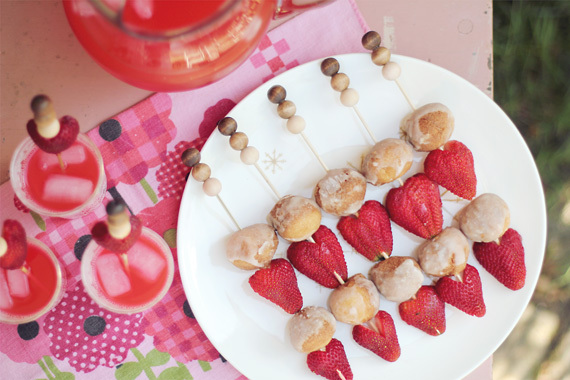 I cut out the greens of the strawberries to give each piece of fruit a heart shape, and stacked them on the kabobs with glazed doughnut holes. 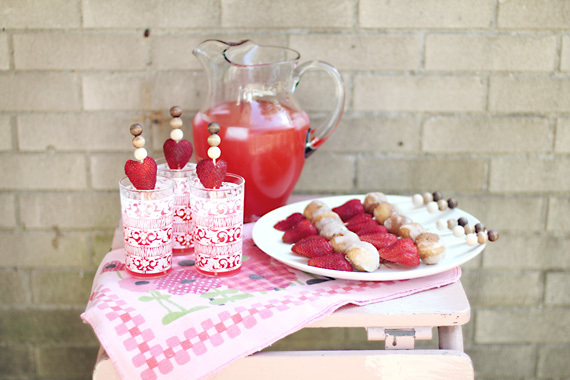 For our drinks, I trimmed down the skewers and speared strawberries to garnish our juice glasses. I was really wishing I could make passion fruit mimosas… but alas. I’ll have to wait for baby to come first to enjoy a decadent breakfast like that! For now? Doughnuts and strawberries will definitely do just fine! Lovely! This set up looks amazing. I wish I had that waiting for me when I get up in the mornings! YUM. These are absolutely the cutest!! 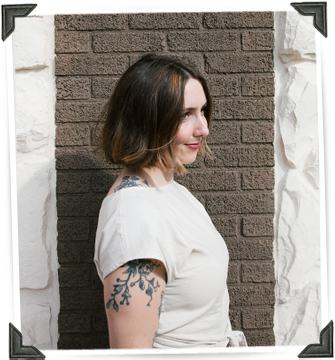 I picked up supplies to create my own this weekend – just with a little bit of a different flare! These are adorable! The perfect idea for my husband’s birthday. It’s not until October, but I know he’ll love something like this. 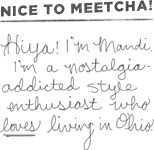 this is waaaay too cute! these are lovely, but I’m allergic to fruit. alas. SO cute! I love this idea, and it looks really tasty! omg, thought they were bananas at first, but doughnut holes – waaay better!! 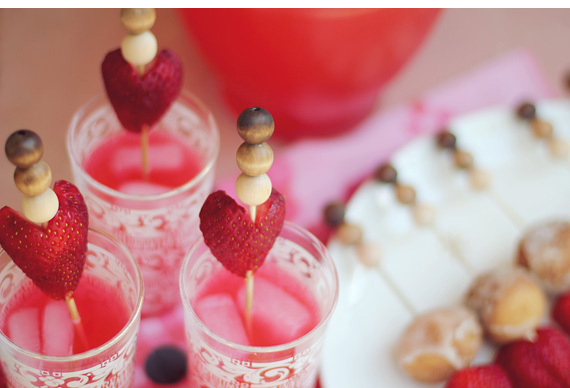 And then, you made the skewers – awesome!! !